If you, or someone you love, suffered a severe head injury, it can seem unbearable. There are so many questions. How am I going to pay the medical bills? What if I can't ever work again? What will my future look like? What medical care might I need? How will this affect my family's financial security? 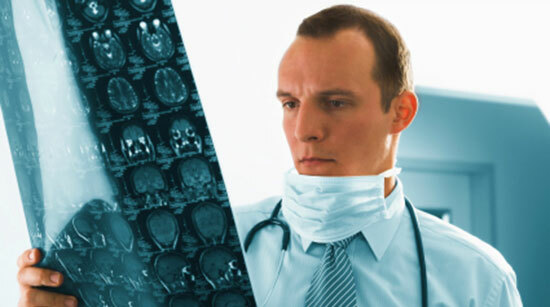 Brain injuries (also known as traumatic brain injuries, or TBIs) are some of the most serious injuries – and some of the most complicated. They are often called "invisible injuries." You may look the same on the outside, yet be forever changed on the inside. It is very hard to predict the effects the brain injury will have on you and your medical condition later in life. Social Security disability (SSD) benefits can help pay your medical bills and give you and your family more financial security. Unfortunately, with the state of the economy and other factors, the Social Security Administration denies over three-quarters of initial applications. Hiring a lawyer could mean the difference between receiving SSD benefits or not. A brain injury is very serious, but unfortunately just because you or a loved one suffered a brain injury doesn't mean you'll automatically qualify for SSD benefits. Every brain injury is different and can affect patients in many different ways. If you meet these guidelines, you may qualify for SSD benefits. When the Social Security Administration evaluates your application, they will review your medical records and look for information about the severity of your brain injury. Specifically, they'll want proof that your brain injury prevents you from holding any type of full-time job – not just the job you held before. To increase your chances of being approved, you should be under the care of a specialist and see him or her regularly. You will need to "prove" that you were, and are, being treated for a severe brain injury. The Social Security Administration will also review your financial situation and whether you paid into the Social Security system within the past five years. If you haven't worked enough – or recently enough – to qualify for SSD benefits, you may qualify for Supplemental Security Income (SSI). At Edgar Snyder & Associates, we've seen the way brain injuries affect a person's ability to function and work. We've also seen the ways it impacts entire families. To the government, you're one of thousands of claim applicants. And because they deny most applications, hiring a lawyer could mean the difference between whether or not you collect SSD benefits. When you hire our law firm, we work hard to protect your rights and get you the SSD benefits you need. We also treat you with respect and explain the SSD claims process, as well as make sure you understand the options available to you and the possible outcomes of decisions you make. If you haven't submitted an initial application yet, we can help you apply for SSD benefits. We'll save you the hassles of navigating confusing paperwork and are ready to help you get the benefits you deserve. If you already applied and your claim was denied, rest assured that we win the majority of appeals for our clients. We can either help you apply from scratch or appeal your existing claim. When all is said and done, if we don't get you approved, you won't owe us a penny. There really is "Never a fee unless we get money for you." If you, or someone you love, are dealing with a severe brain injury, we can help you apply for Social Security disability. If the government denied your Social Security disability claim – contact us right away. Call 1-866-943-3427, or fill out our no obligation, free legal consultation form. Remember, you have only 60 days to file an appeal or you have to start the process all over again! Hiring an attorney may mean the difference between whether or not you collect SSD benefits. Get started now.